Thanks to Alex Niffeler and James Hanna for sending me photos of their original tool kits. 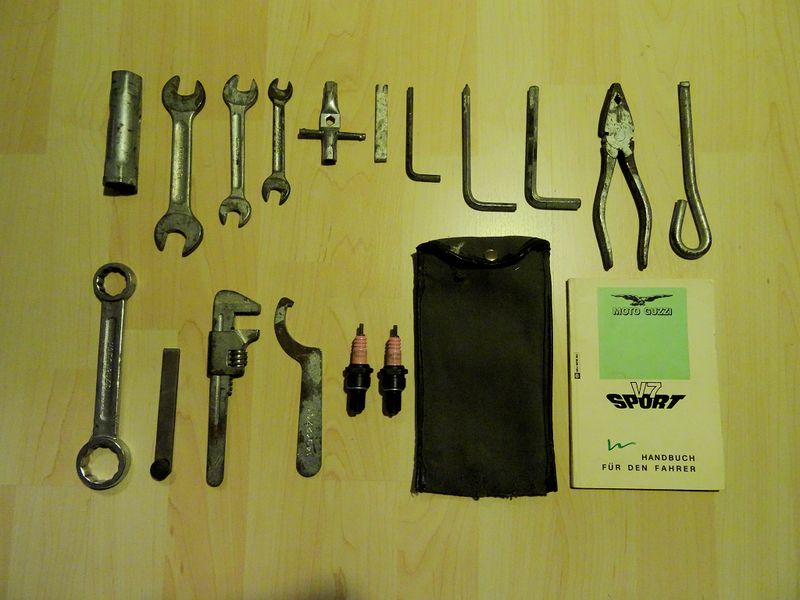 Original tool kit for a Moto Guzzi V7 Sport. Photo courtesy of Alex Niffeler. Original tool kit (MG# 17929900) for the Moto Guzzi 850 T3, 850 T3 California, Le Mans, Le Mans II, V1000 G5, and 1000 SP with a change over to red handled pliers possibly for the 1000 SP NT, 850 T4, and California II. Photo courtesy of James Hanna.